An 18th century landscape of temples and statues | A balanced diet . . .
Stowe Landscape Gardens. Perhaps one of the finest examples we have of the fashion for ‘natural’ gardening that blossomed in the mid- to late-18th century. And this was natural as opposed to the more formal approach to gardening that was common before this period, and perhaps quite well exemplified by the Anglo-Dutch garden at Westbury Court in Gloucestershire. 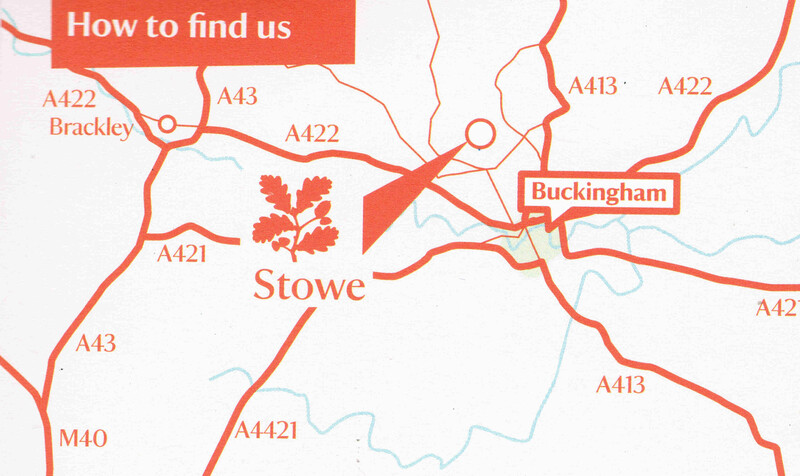 Covering an area of about 250 acres, Stowe Gardens and Park are open to the public almost all year round, and are best approached along the Grand Avenue from the nearby town of Buckingham. It’s a 10 minute walk from the car park to the entrance into the gardens, and there, on the other side of the lake, stands the magnificent Palladian mansion, Stowe House (now a public school and open periodically to the public). We must have walked more than eight miles in total. The gardens as we see them today were developed – and greatly expanded from an original formal garden – by General Sir Richard Temple, later Viscount Cobham follwoing his marriage in 1715. 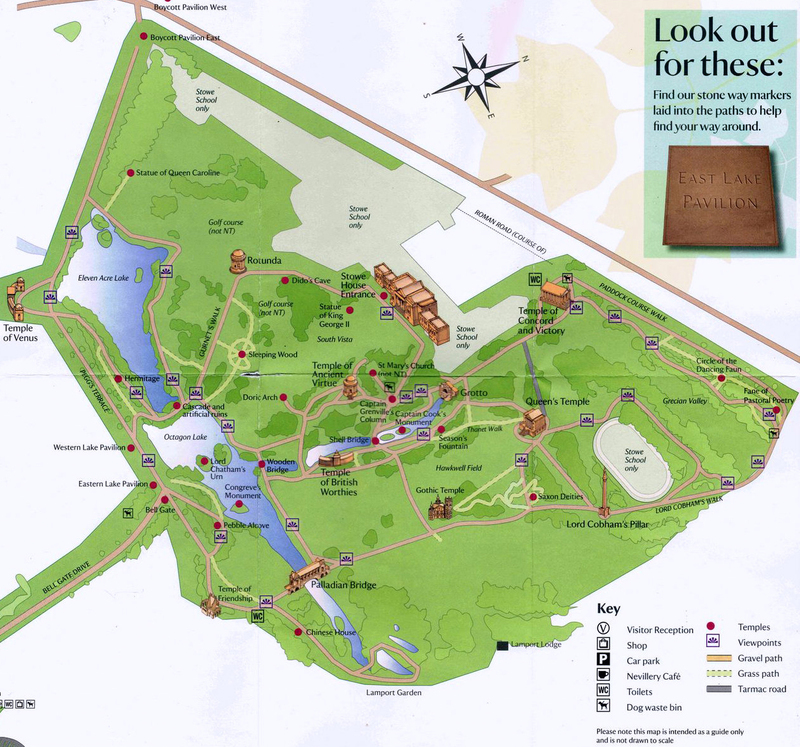 A number of landscape architects were involved in developing the gardens and building the various temples and other structures that are dotted about the park, including ‘Capability’ Brown who was Lord Cobham’s head gardener in 1746. A detailed description of the gardens and the various buildings has been published in Wikipedia (so there’s no need to repeat this here) and is certainly worth referring to for more information about each, who designed them and when. Stowe Landscape Gardens are now regarded as one of the most significant to have survived into this century, and can now be enjoyed through the National Trust. The rest of this particular post is dedicated to the photography I enjoyed during our visit in early September. Each of the images has a caption so you can locate each building on the map below. This entry was posted in Out and about and tagged National Trust, Stowe.